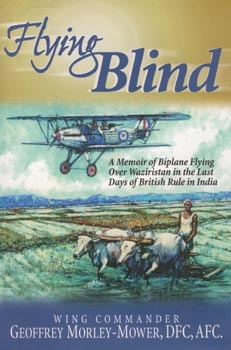 Flying Blind is a book about the way of life during the last days of the British Empire in India, an era which ended after the Second World War. The author describes his career from pilot training in England, to flying Westland Wapitis on the border to Afghanistan, converting to Hawker Harts before being posted to the Middle East to fly Hurricanes (this part is covered in the author’s previous book ”Messerschmitt Roulette”). The book is rounded-up with a brief chapter regarding his career after the war and appendices about some of the people featured in the book. The book is a joy to read and highly recommended.